This web site on John Alfred Patz is under development. We welcome your input, stories, photographs, documents, and other resources. John Alfred Patz was born in 1928. 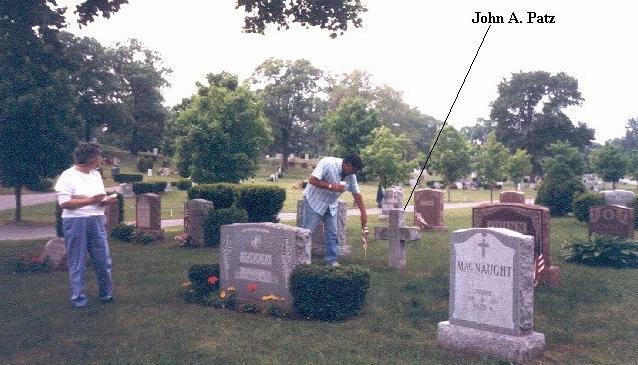 John died in Preston, CT, on October 17, 1964, at the age of 35. 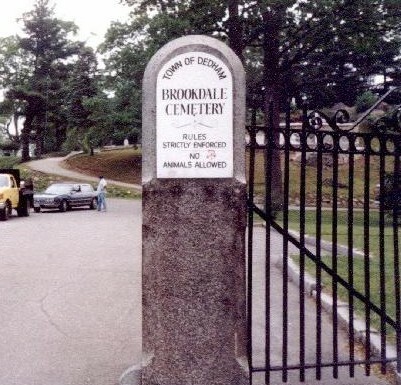 He is interred in Lot 5408A, Grave 1S, Brookdale Cemetery, Dedham, Mass. Frank August Patz: Born 1899; died 1972. Katherine T. (née Breen) Patz: Born 1900; died 1978. 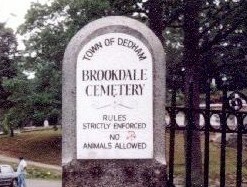 Brookdale Cemetery, Dedham, Massachusetts, burial site of John Alfred Patz. A map to locate the grave is available here. 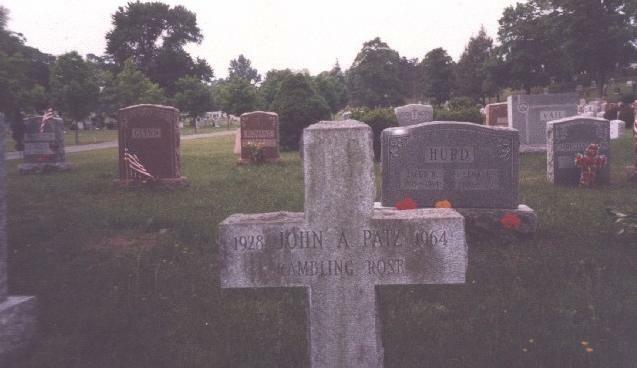 Grave site of John Alfred Patz, Lot 5408A, Grave 1S, Brookdale Cemetery, Dedham, Massachusetts. 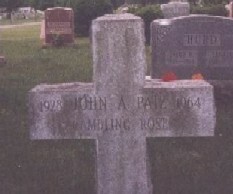 Grave of John Alfred Patz, Lot 5408A, Grave 1S, Brookdale Cemetery, Dedham, Massachusetts. Inscription reads "Rambling Rose." 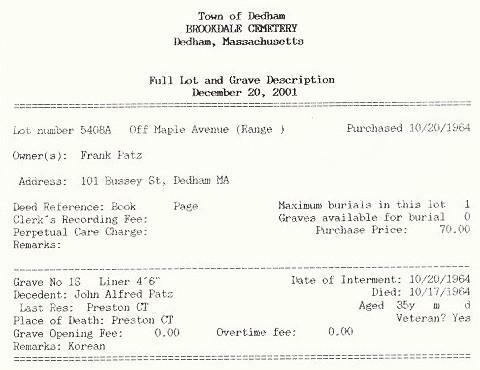 Interment Record: John Alfred Patz, Lot 5408A, Grave 1S, Brookdale Cemetery, Dedham, Massachusetts. 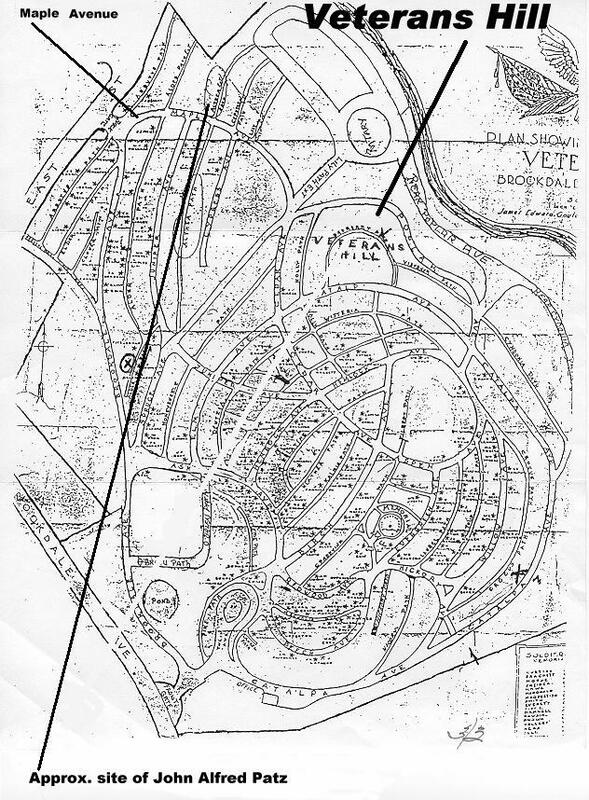 Map to Gravesite: John Alfred Patz, Lot 5408A, Grave 1S, Brookdale Cemetery, Dedham, Massachusetts.